Cottage on Fox Hollow: All I Needed For Christmas. . .
My girl received this lovely gift from friends at our Girl Scout meeting last Tuesday. She promptly came home and hung it on her wall. 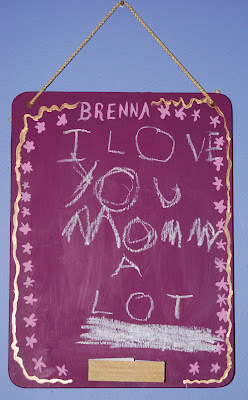 Last night before bed, I came in to find a message for me. Merry Christmas to you, my friend! Hugs to you and yours. Merry Christmas and Happy New Year from Dan and Joyce. So sweet words! Merry Christmas with love and good health. Oh, I hear you, Jenny! That is just so sweet! !